The AM for Cardiff West gained 53.9% of the vote, but only after the contest went to a second round. He will replace Carwyn Jones at the helm of the Welsh Government when he stands down next week. 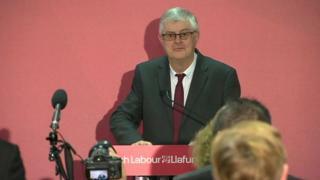 In his acceptance speech Mr Drakeford said: “The choice that I believe has been made today is a choice for a Labour Party that is ambitious for a distinctive Wales in a successful United Kingdom.